It is almost that time of year again. Time for Easter treats, Easter hunts, the Easter bunny and memorable time with family. Our house was never really big on a lot of chocolate at Easter. There was the occasional trail of jelly beans for them to follow but for the most part, my children loved to search for hidden treats like small cars, new colouring books and a new movie to watch. Parents of children with diabetes know that it is possible to cover treats with insulin. If you are multiple daily injections or an insulin pump, you can simply inject or bolus insulin to cover the treat based on your carb to insulin ratio. Despite that fact, many parents of children with diabetes or not, don’t want to give their children a lot of sugar and are looking for alternatives. For those who are trying to control the amount of “junk food” that their children eat, it can be a challenge to come up with candy-free alternatives. Here is a quick list of 35 items we came up with to fill Easter baskets that don’t include candy. Baby O and I has fun suggestions including PlayDough packs and rubber boots! Read all of their suggestions here. Mommy Takes 5 shows you everything that you need for a toddlers basket from the basket itself to great things to put in it right here! The Teal Bandit has another 35 ides perfect for kids of all ages here. Heather, over at Finding Our Green Life shares healthy treats as well as more great basket ideas here! What is your favourite Easter basket idea? Let us know in the comments! Having just returned from a trip away, I know how important it can be to plan ahead when eating. Here are some great tips from our guest blogger Patrice Lewis. Just like eating out at home there’s no real way to know the exact ingredients of every dish placed before you when you’re on holiday. However, it’s possible to use the internet to have a browse of the local eateries before you travel. This allows you to get a sense of what food will be on offer, before you commit to your holiday plans. If the destination only has high carb, and high sugar offerings, it might not be the best place to eat out every night. There will nearly always be somewhere, though, where you can find food to complement your diet. Websites and blogs like the one you’re currently reading and others have a wealth of information for those with diabetes. Search for diabetes forums and you’ll probably find that plenty of people have already asked the questions you need the answers to. If not, there’s normally a friendly community you can join to ask about eating out at your preferred destination. Use the experience of others, and when you return from holiday, you’ll be able to share your own experiences and advice. You might have a pretty strict diet at home, and be completely on top of managing your blood sugar levels. It’s worth remembering, though, that when you’re on holiday you might exercise a lot more than on a standard day at home. Swimming, hiking, walking on the beach and even souvenir shopping can all cause your blood sugar to drop to lower levels than you might be used to. Glucose tablets can be a real help with this, as detailed in this blog entry about eating out when on cruise ships. Consider your level of activity when thinking about how often you need to be sitting down to eat, and what sort of food you should be eating. If you are out and about all day, have a think about how often you’ll need to stop and refuel to keep your blood sugar levels where they need to be. If you’re planning a whole day out in the back of beyond, you might struggle unless you carry loads of provisions. Check what restaurants and cafes there are along your route, and take advantage of them accordingly. Don’t be afraid to tell the staff that you have diabetes. What looks like something very savoury might actually be full of hidden sugars that you will want to properly cover with insulin. Discussing this with staff could stop you from getting a very nasty surprise indeed! To learn more about making your vacation memorable, see more tips on our travel page. I love insulin pump therapy. I think that it is the best way of delivering insulin BUT it is not the only way AND it is not for everyone. There, I said it. Insulin pump therapy is not for everyone. Some people really don’t like using an insulin pump and still have fabulous success in managing their diabetes care. Check out Ginger Vieira and Christel Oerum for great examples. Whether you get your insulin through a pump or a pen or a syringe, it is important that you weigh out the pros and cons. You must find the insulin delivery method that best suits your lifestyle. 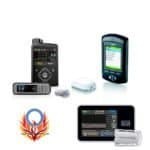 Here are a few of the pros and cons that we have come across when it comes to using an insulin pump. Infusion sets for insulin pumps only need to be changed every 2-4 days depending on the type of set used. 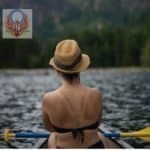 While you may still require emergency site changes or an injection to bring down a stubborn high, you will still only use one or two injections vs multiple daily injections. When using an insulin pump, you only use rapid-acting insulin. This means that you don’t have to have snacks or meals at specific times. Ideally, you don’t have to feed your insulin when using an insulin pump. You eat what you want, when you want to. You can adjust your background insulin to increase or decrease based on your anticipated activity level. Some sensor augmented insulin pumps will even suspend your insulin delivery if your blood glucose levels are dropping too low or too rapidly. There is currently a category of insulin pumps that are “sensor augmented”. This means that they can receive information from specific continuous glucose monitors. This information is then used by the pump to help you make dosing and basal decisions. An insulin pump allows you to make small corrections to your blood sugars. 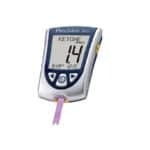 The ability to dose fractions of a unit of insulin without injections gives you the flexibility of great control with greater ease. It allows you to tailor your insulin needs to your lifestyle rather than the other way around. Insulin pumps deliver small amounts of rapid insulin on a constant basis. There is less variance in absorption rates and ultimately a reduced incidence of extreme hypoglycemia. Again, because insulin pumps only use rapid acting insulin, there are no peaks of insulin that need to chased with food. You don’t have to do the math. 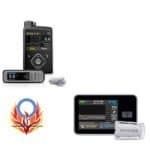 Your insulin pump will help you to figure out how much insulin you have left in your system and how much more insulin you will need to cover a meal or bring down a high bg level. Whether you are tethered to an insulin pump directly or just having to have a PDM nearby, you and your pump are attached…always. There is no taking it off or leaving it behind unless you have gone back to at least some form of injection therapy. Infusion sets can kink inside the body. You can’t tell until your blood sugar levels start to spike for no apparent reason. Not everyone has great insurance coverage. Not every region offers public programs that pay for insulin pumps. If you must pay for an insulin pump and then the supplies out of your own pocket, it can be a costly venture. To change an infusion set, you must prep the site, fill the tubing with insulin, inject the infusion set into the body, connect it to the tubing and fill the cannula, that is now under the skin, with insulin. An insulin pump uses only rapid acting insulin. This means that there is no background insulin in the body if there is a pump failure. Without the background insulin, there is a greater risk of DKA. A person using an insulin pump should be monitoring their blood glucose levels more closely and checking for blood ketones when readings begin to climb. Because an infusion set stays in the skin for a period of 2-4 days, there can be an increased risk of infection to the sites. Therefore, site rotation and proper skin prep is vital when using an insulin pump. Choosing to inject or use an insulin pump should be a choice that you make based on your needs and comfort level. Before you decide, spend time speaking with your diabetes team and take time to educate yourself. If you decide to use an insulin pump, again, choose the insulin pump that is right for your lifestyle. To help you decide what is right for you, download our eBook. It has a checklist of features that will help you decide what is important to you. It also has a list of questions that you can ask your pump reps before making your choice. Remember that all pumps come with some sort of guarantee. Ask your pump rep what their return policy is before you purchase. Your insulin pump is a 4-5-year investment. You don’t want to have buyers’ remorse. If you have successfully applied for the Disability Tax Credit, the savings do not end with your tax return. You are also eligible for FREE money from the government! I know that sounds too good to be true! That is why I asked Jane Buchanan, District Leader, Representative of Primerica Financial Services, to explain exactly how easy it is to get FREE money! What is the Registered Disability Savings Plans (RDSPs)? Who is eligible for an RDSP? The Disability Tax Credit is available to individuals who have mental or physical impairments that markedly restrict their ability to perform one or more of the basic activities of living, such as speaking, hearing or walking. The credit is also available to those who spend more than 14 hours per week on life-sustaining therapy. The impairment must be expected to last longer than one year, and a physician must certify the extent of the disability. There can only be one RDSP account per beneficiary, and only one beneficiary per plan. Click here to see if you might qualify. What are the key benefits of an RDSP? Who can qualify to be the beneficiary of an RDSP? How do you maximize your savings? What is the Canada Disability Savings Grant (CDSG) and the Canada Disability Savings Bond (CDSB)? The Canada Disability Savings Grant (CDSG) and the Canada Disability Savings Bond (CDSB) are federal programs that provide payments to RDSPs to encourage long-term savings through an RDSP. Grants and bonds are available to beneficiaries up until December 31st in the year they reach age 49. Contributions can be matched, based on family income, with up to $70,000 in Canada Disability Savings Grants and up to $20,000 in Canada Disability Savings Bonds. RDSP with drawls are also known as disability assistance payments. There are two types of payments from an RDSP lifetime disability assistance payments and disability assistance payments. How do you contribute to an RDSP? contributions by the account holder. contributions by people the account holder has authorized. transfers from a qualified or RRSP, RRIF or RPP. transfers of the accumulated income from a registered education savings plan on which the beneficiary is on both RESP and RDSP. How do to get money out of an RDSP? RDSP withdrawls are known as disability assistance payments. There are two types of payments from a RDSP. Lifetime disability assistance payments are recurring annual payments that one started must be paid until the plan is terminated where the beneficiary has died. These may begin at any age that must start by the end of the year in which the beneficiary turns 60. The other type of payments are disability assistance payments which are lump sum payments made to the beneficiary or the beneficiary’s estate. When withdrawing funds from the RDSP, it is important to be aware of the 10 year rule. If a person withdraws amounts that were contributed in the ten-year period prior, grants and the bonds from the government must be repaid to them. The repayment is three dollars for every one dollar withdrawn (aka the Holdback amount). The purpose of the holdback amount is to ensure that RDSPs are used for long-term savings, and it also ensures the government funds contributed are not withdrawn and used otherwise. To see if you might qualify for the Disability Tax Credit, try our short quiz. If you have been putting off filling out your application form, get our easy to follow step-by-step guidebook. It has been over 15 years since I was first asked to take part in discussions surrounding the issue of children with diabetes in schools. I still speak publicly on the issue. I still assist parents but I honestly thought that after 15 years, more insulin pumps and other awareness activities that things would be vastly improved–that all children would be safe in school. Things have changed. Years ago, very few schools had policies in place protecting our children with diabetes. Very few educators knew their roles and parents often struggled as well. Today there are provinces that have stepped up to the plate offering guidelines and even legislation surrounding this issue. Sadly there is still a long way to go. There are still parents who do not feel safe sending their children to public schools. I once looked to the US as a standard to achieve. The rights of their children with diabetes are protected under the American Disabilities Act. That had to count for something! A lawyer friend of mine reminded me that while this was a just a law, enforcing it could often be just as frustrating and overwhelming for families in the US as it was for families here in Canada. The moral? Keep fighting. Keep educating, Continue helping and that is what I am doing. Many years ago, just after a change in rulings on the Disability Tax Credit, I met a wonderful lady. She worked for what was then called the Canadian Diabetes Association. She was there first formal advocacy employee. Our sons were of similar age. She listened to our struggles and empathized. Over the years we have worked together on certain projects and simply managed to touch base now and then to see who the other’s family is faring. Yesterday she sent me an email asking for help. She too is still working on the national issue of safety for children with diabetes in schools. There are still many families who are fearful of sending their child with diabetes to school. There are other families that send their children to school but are constantly at odds with the system to achieve optimal care for their children. This saddens me greatly. 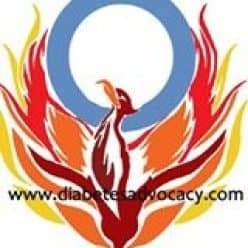 If you are one of those families that are still having issues with your child with diabetes in school, please comment or message me . I will pass your information along to my friend and she will contact you. Hopefully, together we will be able to highlight the problems and finally work towards a resolution to this issue for everyone. I know it’s not the same. I can’t begin to say that I fully get it. I cannot say that I am walking in his shoes so I will just say that I feel like I may have taken a step in his socks. Last New Years I was given the “gift” of a gluten intolerance. If I eat gluten I get physically ill. This came seemingly out of nowhere. I told my doctor that I was too old for this to happen to. She just laughed at me and told me to live with it. Going to a restaurant is no longer a source of relaxation. With a gluten intolerance, I have to be on alert when we go out. I don’t have to guesstimate carbs, I now have to guess if there is gluten in my desired meal. The result is that there are often restaurants that I simply cannot eat in. Emotionally it can be overwhelming and depressing….why can’t I be “normal again”?? Did my lecturing just compound the issue? I don’t need someone telling me “Well Barb, you know that you shouldn’t have tried that chocolate without reading the label”. I know these things but sometimes I just get complacent. I just don’t want to think about it…and then I pay dearly for my lapse in judgement. I am sick for at least a day. I do become more vigilant after my slips. I have good days. I will have bad days. No amount of saying “I am too old for this” will change it. I have come to realize that this is now part of me. It’s not the same as living with diabetes. I don’t have to test. There is no pump attached to me. I don’t have to worry about balancing insulin and food. I won’t pass out from too much gluten. In some ways it is similar though….I have to read every label. I am not counting carbs but I do search for things like wheat, malt vinegar and “may contain gluten”. I feel overwhelmed when I try to bake. None of my recipes work anymore. They all have to altered again…before it was to accurately count the carbs, now its to carefully substitute out all wheat. I feel stressed when I step inside a restaurant. My boyfriend is fabulous. He asks every server if they have a gluten-free menu before I get a chance. I still worry. What if they make a mistake? What if they give me the real pasta? What if they don’t realize and give me a sauce with gluten in it? What if I order the wrong thing? (and I have) When it goes right, I feel the same glee as I do when my son and I guess the correct carb counts in a restaurant. As I said, it has been a year. Some things are getting better. I have an incredible network of friends who have already been down this road. 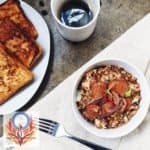 (There is an increase risk of celiac disease if you also have Type 1 diabetes) There are great Facebook groups and many more options in the grocery store. I have a cousin who is an amazing Gluten Free baker. They all provide tips and support. This year has allowed me to look at things just a little differently. I have lived with diabetes in the house for close to 17 years. I know the terror of nights. I know the frustration of unexplained highs and lows. I am all too familiar with the stress as diabetes interrupts planned activities. Gluten issues don’t come with those stressors but they do have plenty of their own. Gluten intolerance has allowed me to glimpse at what its like to always have to be aware around food. It has given me a new understanding about feeling good and “forgetting” about your condition. I hate both conditions. My son hopes he never has to live this way. I do too but I also wish he wasn’t living with Type 1 diabetes. The only bright side to my gluten issue is that it has given me a small glimpse into some of what he has gone through on a daily basis for most of his life. Last night ,I was watching a promo for a new comedy show. The show looks like it will be really funny. I have seen some of the clips that the network has shared over the past few months. I laughed at a lot of them. Tonight however, one clip caught me off guard and I wondered if I was just being silly. The scene had a woman trying to go into a room. The room was already filled with people who were in some sort of conflict. She told the people in the room that she need to get in because “I need to get my insulin”. My ears instantly perked up. There is going to be a character on the show who needs insulin?? How cool was that!! Sadly my excitement was short lived. When the lady saw the turmoil in the room she exited stating that she would just go and “eat an orange”. Those of us who live in the world of diabetes know that if she ate the orange she would need insulin…unless of course she was low and then she didn’t need the insulin to begin with. I get that it is just humor. I further understand that 99% of the audience won’t even notice the error. It still bothered me. I sent the show a message telling them of the error. So far they haven’t answered. Diabetes can be funny. When my son shot blood across the table when testing his finger, we all laughed…yes its a bit morbid but we laughed. I don’t think that mis-representing any condition is funny however. Diabetes has many, many myths surrounding it. People with diabetes (both Type 1 and Type 2) face them every day. We don’t need mainstream media fueling the fires with more false information. I don’t think that I am being overly sensitive. I have read of other people with diabetes watching the show and being equally annoyed. I am all about laughter and fun but I really, really don’t like it when it is done at the expense of others. Some will say, lighten up. No one was hurt by this. That is not exactly true. What happens if my son is low at work? Will his colleagues think that he needs insulin to get him through rather than passing him a juice box? Misconceptions are dangerous for those living with the disease. People living with diabetes live with enough blame and guilt. We really don’t need mainstream media continuing to blur the water. My son is now an adult. He is living at home again while he does some upgrading and starts training for his chosen career. Its hard to believe that my baby is an adult but he is. The law says so. He has his own car. He can drink…and to my surprise (because he is my baby) he does drink. He seems to be responsible…well as responsible as you can be at his age. When he drinks he doesn’t drive. When he goes out, he brings along a friend who is a designated driver and doesn’t drink. He spends the night at that friend’s place so that he doesn’t drive again until he is sober. He brings his test kit. He has his spare supplies and extra glucose with him. He has a system when he drinks. He has already learned how certain beverages effect his bg levels. He is pretty confident in what he is doing. How do I know this? Because he told me. We were discussing his night out. I was giving him a little bit of the information that I had learned about diabetes and alcohol thanks to places like the Diabetes Mine. He told me his experience. I asked what he would do if heaven forbid, he got falling down drunk. How could he handle things? He told me that he had been there. He began to tell me what he did. I was shocked. This was my little boy. I began to walk out of the room. I didn’t want to know. I didn’t want to think of my baby as drinking. I really didn’t want to think of my little boy getting drunk. He stopped me. He told me that I had to know. It was important for me to understand. If I didn’t listen to him, I would worry more. He wanted me to know that he was listening, learning and growing up. It was going to be okay. I listened. I was proud that he would have this dialog with me. It was candid. It was honest. Nothing was hidden to make me feel better. It was raw. It was tough to hear. It was good to hear. He has stumbled. I have cried. He has learned. So have I. Together we will continue to get through. I am glad he feels that he can talk to me. I am glad that he has learned. I am proud that he wants me to be okay as well. I hate to think about it. I can feel my stomach start to churn. My son is 19. He has stumbled along, trying to figure out what he wants to do with his life. It has been a challenge but he is meeting it. Slowly he is making his way. Unlike his brother who finished high school and instantly knew what he wanted to do in terms of a career, my youngest son has been a bit more uncertain. He has applied for a variety of trades but finding the right fit isn’t easy. He needs a job with great benefits. He wants something that will interest him. He needs to be employable in a slumping economy. It can be a challenge for any young person. He isn’t just any young person however. He is a young person with diabetes and diabetes doesn’t care that he doesn’t know what he wants to do with the rest of his life. Diabetes doesn’t care that he may soon be removed from his parent’s insurance plan. Diabetes doesn’t care that he doesn’t have a job with insurance. Diabetes doesn’t care that his provincial drug plan offers very little assistance. Diabetes demands that he check bg levels multiple times per day. He still must find insulin to use daily. He is required to make appointments and order insulin pump supplies. Diabetes doesn’t care how he does any of these things but if he wants to live, he has to find a way. He is just 19. He should be concerned with going to school. He should be concerned with finding a career path. He shouldn’t be concerned with health care costs. The reality is that those are things that he has to be concerned with however. He is still in school but will insurance still recognize this? I am not sure. There is some help for pump supplies in our province but because of some of his own mis-steps, his coverage has lapsed. Together we will work on getting him back in the program but it will take time. There is a provincial drug plan. They allow you a set number of test strips for the year but some strips covered will be better than none when the time comes. Some days the reality of life with an expensive illness…well its overwhelming despite the fact that I am not the person who has to test or inject daily. He understands that it will be expensive. This is his life. It has been for loner than he can remember. It still makes my heart ache. I still wish that I could take it away. I can’t. We will do our best and that will be fine. Oh my goodness, today’s prompt is seriously probably the hardest of the week. Share you best diabetes tips and tricks. Do I have any? We put one foot in front of the other hand hope for the best. Does that count? Okay, tips and tricks…well, the first trick I learned was when my son was first diagnosed. We didn’t have Rufus the bear with diabetes but I knew that my toddler needed to feel that he was not alone. The way I did that was to give Elmo diabetes as well. He had a stuffed Elmo that somehow made its way to the hospital with us. As I was learning to inject a doll, I have my two year old a needle and supervised him giving Elmo injections. Writing that sounds crazy. I gave a 2 year old a needle? I did. It was a pen needle and the tip wasn’t in it but I gave him the pen filled with insulin and let him pretend to give his stuffed toy an injection. He was making his friend feel better just like I was helping to make him feel better. It worked for us! As he aged, new issues came up and bribery was introduced. Okay, we didn’t use the term “bribery”, we referred to it as rewards. If he ate his breakfast without a fuss, he received a sticker. After a certain number of stickers a reward was earned. It worked for a bit. What tips did we use for storing supplies? Well for us storing diabetes supplies was relatively simple…totes. We have totes on wheels and when they were too full, we also had totes that went under the bed. This allowed us to have a large supply of glucometers and pump supplies for times when insurance coverage was not available. My son still has both the cart and the tote. Finally our rule for travel is simple…always pack twice what you think that you will need and then throw in a little more! Whenever my son travels, he seems to experience a lot more highs than normal. We do more site changes. We bring more supplies. I have also learned to store insulin in more than one place when you leave home. We traveled across Canada once many years ago. All of the insulin was in the cooler. The cooler was somehow put on the heater setting. All of the insulin was at risk of being spoiled. I never did that again. Insulin is now scattered among bags for safe keeping. The final trick we have used is all my son. When your sites are starting to peel up but the insulin is still flowing, you don’t want to make a change and your readings are still good–use duct tape! We have medical tape. We have opt-sites. My son uses duct tape to hold his sites in place. Yes, they do make a mess of your skin after but they do hold your site in! –You may be a diabetes redneck when? ?